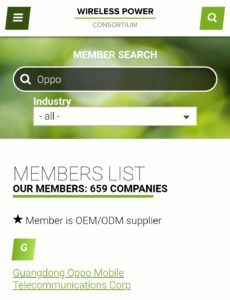 China based company OPPO, one of the 10 biggest Smartphone Manufacturers in the world, recently joined the Wireless Power Consortium “WPC” to be able to offer the Qi Wireless Charging Technology in their future products. A lot of other Smartphone Manufacturers already offer Qi Wireless Charging for a very long time, so the pressure on those who are still missing it is big, as they would loose future customers with a non wireless charging device. Here you can find a full list of other compatible smartphones/devices.